Kris Letang is a Canadian-born professional ice hockey player who plies his trade in the National Hockey League. A bonafide veteran, Letang plays in the defense position for the Pittsburgh Penguins, the team with which he has spent the entirety of his long-running career. He has won 3 Stanley Cup championships and has been named for 3 NHL All-Star Games since joining the Penguins in 2005. Kristopher Allen Letang was born on April 24, 1987, in Montreal, Quebec, Canada. He had a three-season stint with the Val-d’Or Foreurs junior ice hockey team of the Quebec Major Junior Hockey League. He recorded 32 points in his junior rookie season (2004–05) and was named to the QMJHL and the Canadian Hockey League All-Rookie Teams. In the summer of 2005, he was selected 62nd overall by the Pittsburgh Penguins in the 3rd round of the 2005 NHL Entry Draft. Letang recorded 68 points over 60 games during the 2005-06 QMJHL season for which he earned a QMJHL First Team All-Star selection. He made his NHL debut with the Penguins during the 2006–07 season, however, after scoring only 2 goals in 7 games, he was reassigned to the Val-d’Or Foreurs for further improvement. He led the Foreurs to the finals of the 2007 QMJHL playoffs recording 31 points in the post-season. His performance for the season earned him the Emile Bouchard Trophy as the league’s best defenceman, the Paul Dumont Trophy as the “Personality of the Year” as well as the Kevin Lowe Trophy, as the QMJHL’s best defensive defenceman. Kris Letang began the 2007–08 season with the Wilkes-Barre/Scranton Penguins, the American Hockey League (AHL) affiliate team of the Pittsburgh Penguins. After recording 7 points in his first 10 appearances of the season, the talented player was recalled to the NHL by Pittsburgh. As a rookie in the 2006-07 season, Letang recorded 17 points over 63 appearances, the 6th highest among rookie defencemen and for which he was named for the 2008 NHL YoungStars Game. He equally had an impressive run during the 2008 Stanley Cup playoffs helping the Penguins reach the Finals, however, they were defeated 4-2 by the Detroit Red Wings. During the 2008-09 NHL season, Letang earned more playing time as 2 of the team’s top defencemen were sidelined due to injury. Consequently, his performance for the season upped to 10 goals and 33 points and he earned an invite to the 2009 NHL YoungStars Game. He also contributed to the Penguins’ post-season success during which they eventually defeated the defending champions Detroit Wings in the finals to claim the 2009 Stanley Cup. He recorded 4 goals and 13 points over 23 appearances in the 2009 Stanley Cup playoffs. The 2009-10 NHL season was rather unfavorable for the NHL star as his performance dipped to a career-low 3 goals and 24 assists. He earned a bigger role in the 2010-11 season following the exit of top defenseman Sergei Gonchar in the summer of 2010. He finished the season with a career-high 50 points (8 goals and 42 assists) the team’s second-best and was voted to the 2011 NHL All-Star Game. The following year, the talented player was also named for the 2012 NHL All-Star Game as a replacement for Dustin Byfuglien who was out on injury. Kris Letang has remained the top defenceman of the Pittsburgh Penguins ever since though he has been plagued by injuries for a number of seasons. The veteran defenceman had the best performance of his long-running career during the 2015-16 NHL season finishing with a career-high 67 points over 71 appearances for which he was named for the 2016 NHL All-Star Game. Letang scored the game-winning goal in the Penguins’ triumph over the San Jose Sharks in the 2016 Stanley Cup Finals clinching the 2nd championship of his career and a 4th in the history of the franchise. He underwent a neck surgery late in the 2016-17 season as a result of which he missed out on the Penguins’ successful title defense at the 2017 Stanley Cup finals. However, he got to share in the victory as his name was also added to the trophy. 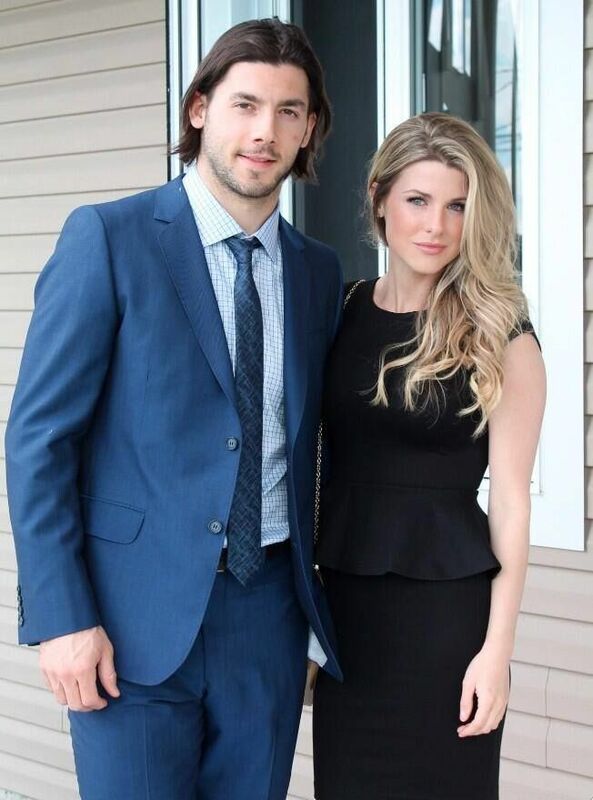 Kris Letang is currently married to Catherine Laflamme. The couple tied the knot on July 18, 2015, in Montreal, Canada. In 2017, Laflamme featured in the season 3 of the Canadian documentary television series Hockey Wives. Letang and his wife have 2 children together. They welcomed their first child, a son named Alexander on November 23, 2012. Their second child was born on July 5, 2018, a daughter named Victoria. 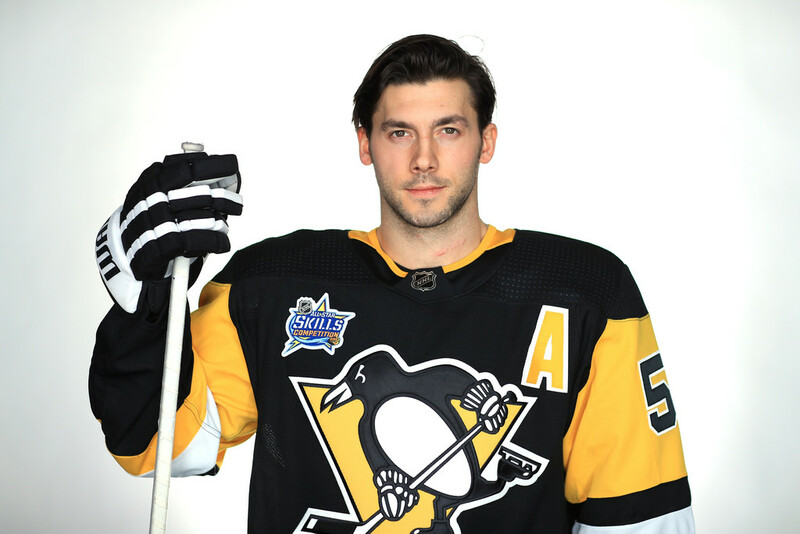 Kris Letang is 6 feet (183 cm) in height and he maintains a body weight of 91 kg (201 lbs). The veteran defenseman is known to be efficient on both ends of the ice as he equally displays impressive offensive abilities. Letang played for the Canadian men’s national ice hockey team on the youth level. He won silver with Team Canada at the 2005 IIHF World U18 Championships. He equally won gold with Canada’s U20 teams at the 2006 and 2007 editions of the IIHF World Junior Championships.